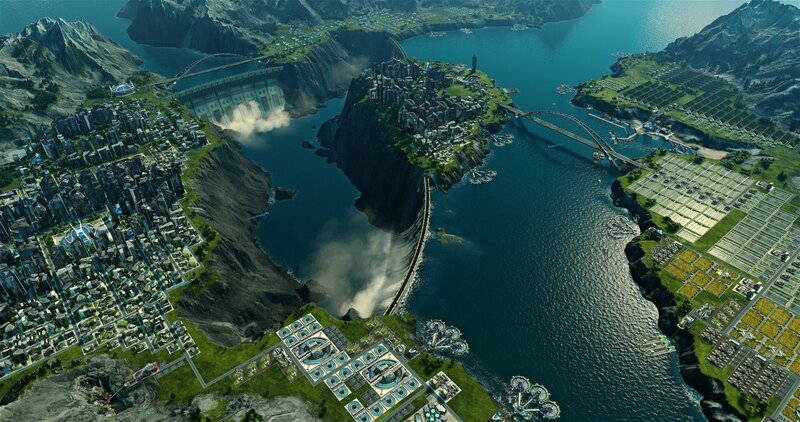 Anno 2205 is the latest in the long-running series of city-building resource-jugglers. I’ll say straight away that for all the little gripes I have and concerns about longevity, I did lose myself in a 16-hour marathon session when I first hopped in game, so it’s definitely the kind of city sim that one can get immersed in. As a side note, the game harasses you every hour or so to take a break, but gives up after six. Heh. I’m going to get it out of the way up top that yes, this game requires Uplay to play, and no, as ever, the service was not reliable during my review period. How this will be reflected post-launch, though, I cannot say. Anno has a tangible feel that I find lacking is most city sims. Most city builders have you micromanaging the needs of your people in a very abstract way. Anno features a more concrete sense of need; buildings either (and sometimes both) produce or consume, and they do so at fixed rates. With a myriad of commodities to juggle, the game plays less like a SimCity-style simulation of the dynamic needs and wants of a population, and more like a puzzle where players attempt to balance an equation while only being able to see the interactions between the two sides. It sounds a bit like algebra, and in a way, it is, but gamified! Anyone who remembers Sierra’s Pharaoh will know what I’m on about and be right at home in Anno. The game features a wonderfully bleak undertone; subtle, but it’s definitely there. You play a corporation head on a future Earth that elects corporations instead of politicians—where votes are bought more than they are earned—striving to build up a suitable workforce in the pursuit of fusion power. You’ll grow a massive temperate colony that cares for little more than consumer goods. These are your ‘money peasants’ as I call them, as their only real purpose it to make you money. Keep them happy, and they’ll keep you rich. Keeping them happy, as it turns out, means maintaining an unemployment rate of nearly 70% by late game, and drowning them in consumer goods from a satellite arctic colony, and high-tech goods from a lunar base. Super bleak. Grim underpinnings aside, Anno 2205 is a beautiful game, and each and every one of its buildings is its own little work of art, each convincingly representing the purpose it’s intended to serve. The vibrant and high-contrast colour palette and excessive use of rich blues and greens make for a relaxing and aesthetically pleasing place to spend your time. The soundtrack, too, is particularly soothing—except for one particular track that leaves me feeling more like I’m amassing an Orc army in Mordor, rather than building a dystopian megacity. While the nerdish city planning and optimization side of the game is brilliant (and it truly is), many of the tools to facilitate it aren’t. Mission notification panels will stick open when you try to collapse them, and there’s no at-a-glance way to observe a particular building’s input or output, which can make correcting production shortfalls needlessly convoluted. I was also burdened with a missing quest item in a core quest in my starter zone, so I’ll never know just how great that dam could have been. But you know what? I don’t care. Painstakingly squeezing buildings, their expansions, and optional support structures into finely-crafted and perfectly optimized networks is just so damn relaxing and rewarding in equal measure that the experience couldn’t be marred by the game’s other shortcomings. On the note of shortcomings, I have no idea why there’s still a strategic combat system in the game. While it can be ignored entirely (though it makes acquiring resources for support structures difficult), it feels like such a disjointed mess that that serves as barely a frustrating distraction from the already brilliant city building. In addition, load times between regions aren’t exactly fluid, and the game stutters after extended play (perhaps that’s why it kept telling me to stop playing). I also mentioned earlier that I had connectivity issues to the Uplay servers, and while that (thankfully) doesn’t boot you from the game, it does prevent you from voting (read: being bribed) in the elections, which is a big resource hit. 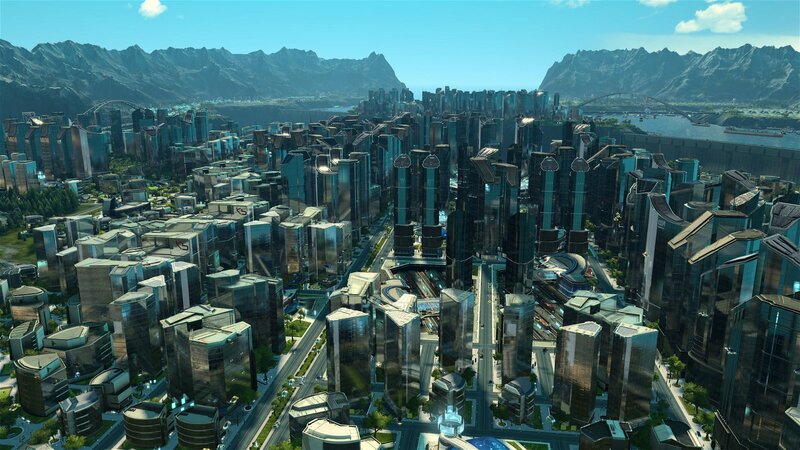 On the whole, though, I had a great, if fleeting, experience with Anno 2205, but I’ve now solved the equation in its entirety, and without an editor or custom scenarios (or even pre-determined ones), the game just doesn’t have any real staying power. It’s a bit like finishing a jigsaw puzzle; that’s just sort of it, really. 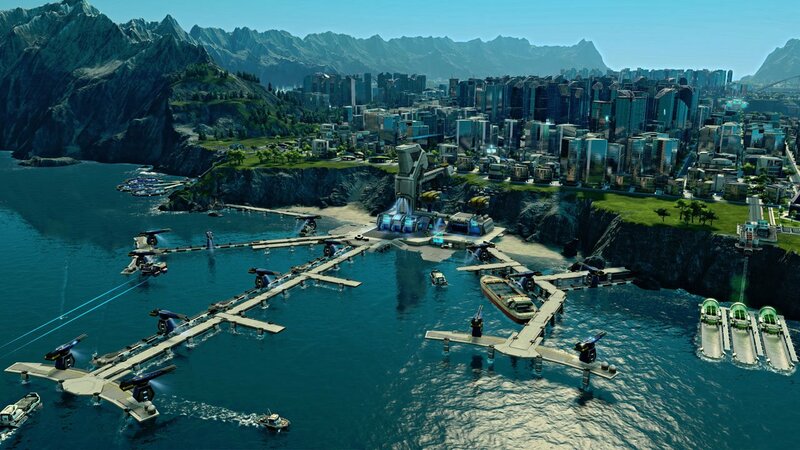 That’s a real tragedy for a city builder—especially one that’s as relaxing and rewarding as Anno 2205 can be. In truth, if I had just spent seventy of my hard-earned monies on it to find it had no real longevity past the 20 hour mark, I’d be a bit miffed. Tragically, that leaves the game in a position that shows potential for greatness, but fails to attain it; an item for consumption in the wait for the next great city simulator. But as far as disposable games goes, Anno 2205 is one of the most enjoyable I’ve played in a long time. Anno has a tangible feel that I find lacking is most city sims. Most city builders have you micromanaging the needs of your people in a very abstract way.